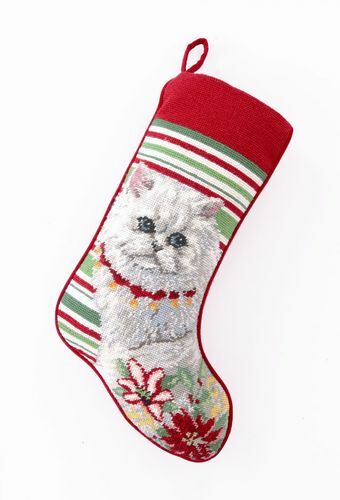 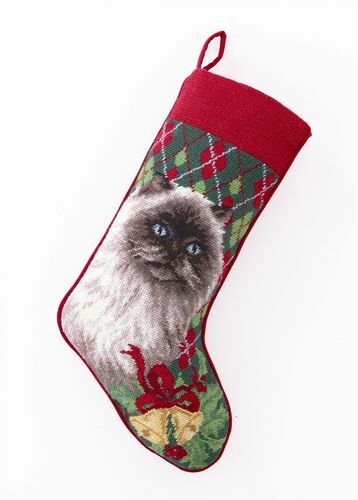 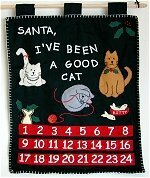 Beautiful Christmas stockings with a Cat theme for young and old alike. 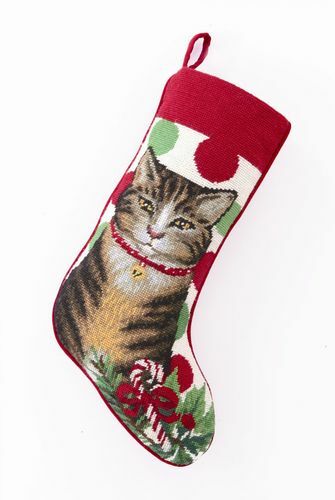 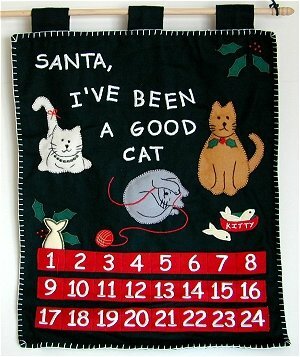 I believe most of these stockings are given directly to a cat by their devoted owners but that is just the cat lover speaking. 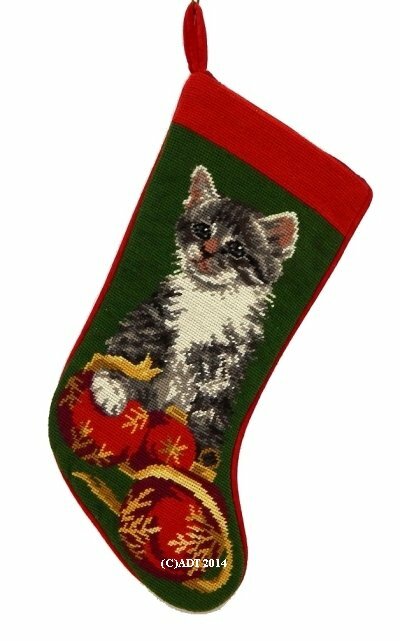 A very cute kitten on a green background Christmas stocking.br> The red top and decorations work well with the design.